A nanny is professional childcare option for parents that want sole charge care for there children. They can work independently or alongside the parents dependant on your requirements. Nannies will plan safe amusement for indoors and outside. They devise and play games suitable for the ages of the children they are in charge of. A nannies job is to care for the children, to ensure they feel safe while their parents are busy or at work. They help children learn through play and will be responsible for finding engaging activities. They may also plan and oversee birthday parties and other important social events throughout the year. Nannies will follow a set childcare program that is tailored to your requirements for your children. A nanny is a professional person that has chosen to work with children as his or her career. They work in the child’s home setting doing activities they have set or that have been requested by the parents. As nannies carry professional qualifications we always recommend that families with children under the age of 2 years old should opt for a nanny rather than a mothers help. If you are looking to HIRE A NANNY, Wellfields will guide you through all of your childcare options providing you advise if you need it. You can either email or contact us by phone. When looking for a nanny, going for a live-in option can provide you with a greater degree of flexability. A live-in nanny will normally work 11-12 hours per day plus two evenings of baby sitting. This could include supervising homework, play time, washing the -children’s clothes, tidying the children’s rooms and preparing all children’s meals throughout the day. Nannies may also be looked upon to do the school runs during term time; therefore in some cases the families will want the nanny to have a driving licence. Additional elements of work, for example providing childcare during a holiday, will normally be catered for in the contract. Wellfield live-in nannies offer substantial experience and skills. Live-in nannies would expect to have their own accomodation with meals. Hiring a live-in nanny is a cheaper option, in the main because you are offering them accomodation. They will provide you a greater degree of flexibilty because they are available more easily than live-out nannies they will also very quickly become a part of the family. A live-out nanny has sole charge of the children and will come to the family home and perform nursery duties the same way as a live in nanny would. A live out Nanny will work hours according to the families schedule but are typically around 8-10 hours per day. They can either be set up on an annual salary or on an hourly rate according to the preference of the family. 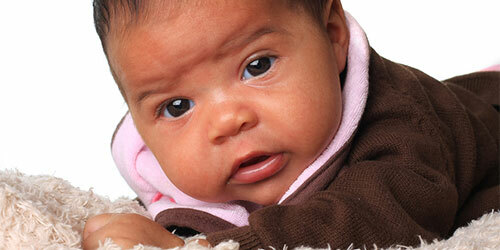 Live out nannies or daily nannies will do baby sitting for families when it is agreed in advance. Any baby sitting will be paid in addition to their hours. Nannies are registered employees, if you are new to having a nanny we will walk you through the steps of setting up the necassary legal obligations as an employer. 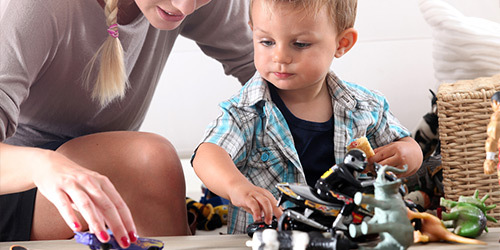 It is important to remember that a nanny’s primary role is to provide quality childcare. If you require more help around the house you would be better suited to a nanny housekeeper. If you need a nanny house keeper make sure you let the agency know. Even though nannies are more expensive than childcare providers such as child minders and nurseries the quality of care your child will recieve is better because the working staff/ chil ratio is lower than in commercial childcare settings. Wellfield Nannies will either be qualified proffessionals or have a minuimum of 3 years varifiable UK experience. The nanny is working in your home setting so you don’t have to miss work if your child is sick and you have a greater degree of flexibilty. Your childcare schedule can be set according to the acitivities you wish your child to do. Your nanny will take your child to all the classes they enjoy and can do other activies such as swimming going to the park if it’s a nice day. These are things you could not otherwise dictate. For very busy households, nannies will also run odd household errands that you struggle to accomplish. At Wellfield International we aim to match you with the best candidate to meet your childs needs. Our experienced team are here to help you with the process of finding the right nanny for your family. We kindly ask families to complete the application form with as much detail as possible that will aid us in finding the perfect candidate for your family. At Wellfield we follow the same rigorous procedures and safe guarding standards that are set by LEA’s for schools to ensure that our families have the highest standard of vetting for potential nannies. All Nannies are recruited by staff that have been fully trained by the director who has completed the NCSL safer recruitment course. All candidates MUST have new CRB checks carried out by the agency and have personal and professional references checked as well as having to undergo an interview before being accepted onto our books. Wellfield International nannies all have a range of experience; a genuine passion for working with children, we think it is important for you to know that NOT all candidates that apply to the agency are accepted onto our books. If you are looking to be a nanny please complete our initial registration form and a member of our team will be in touch with you.